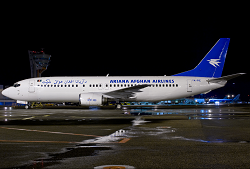 the aircraft weas damaged when its right undercarriage failed forcing the right engine to strike the ground on landing at Kabul, Afghanistan. On landing supposedly runway 29 the 737 was involved in an undercarriage mishap resulting in right maingear to gave way forcing the right wing to drop until the aircraft settled on its right engine. The aircraft came to a sop generating lots of sparks before coming to rest within the width of the runway. 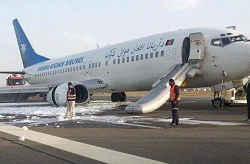 There were no reports about any injuries among passengers or crewmembers. All passengers left the aircraft on the spot via mobile airstairs. Runway 29 / 11 was closed for all traffic until the Boeing 737 was removed. 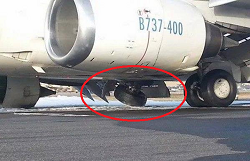 Post incident photos indicate the right maingear may have been stuck in a transit position prior landing. 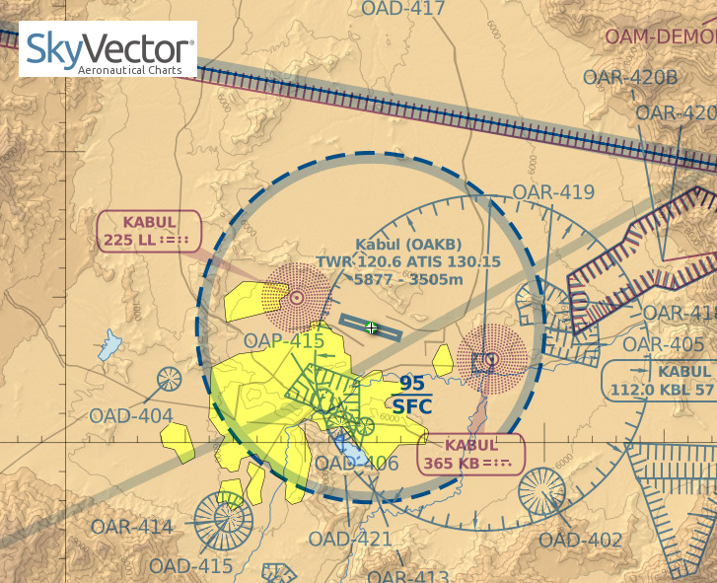 NOTE: The accident marks the 3rd major landing occurence at Kabul Intl Airport in the year 2014 after another B737-400 overran the end of the runway in May and a B767-200 experienced tailstrike in June.